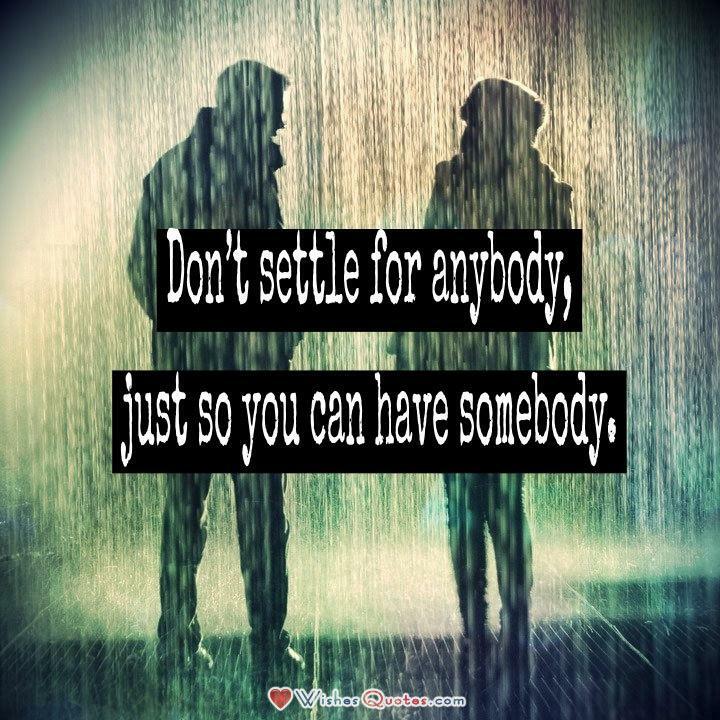 Don’t settle for anybody, just so you can have somebody. Many people find themselves so afraid to be alone that they get into relationships that aren’t right for them. There is a lot of pressure in today’s society to be in a relationship and to have someone. People that are single are sometimes made fun of. But the truth is, it’s a lot better to be single than it is to be in a bad relationship. Coupling up with the wrong guy or girl will do more to destroy one’s self-esteem and sense of worth than being single will. It’s important not to trick oneself into thinking that a person is right for them when it’s clear he or she is not. Wrong relationships happen a lot. People will even marry the wrong person for them because they are so afraid to be alone. It’s important to hold one’s standards high and never settle. That’s the only way a person will be able to meet who is truly right for them.